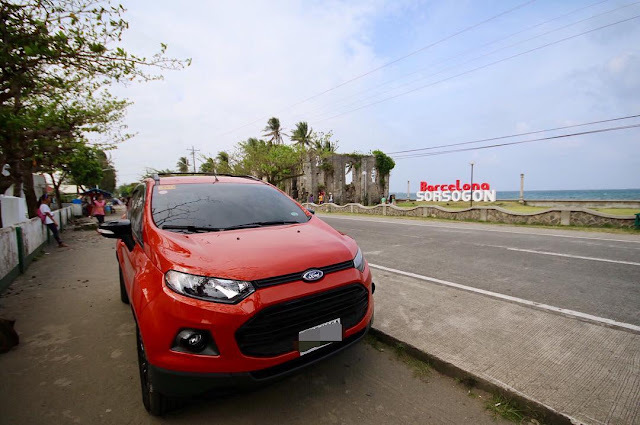 Prieto Diaz, Sorsogon - The first part of my Sorsogon road trip series is home to a model site. 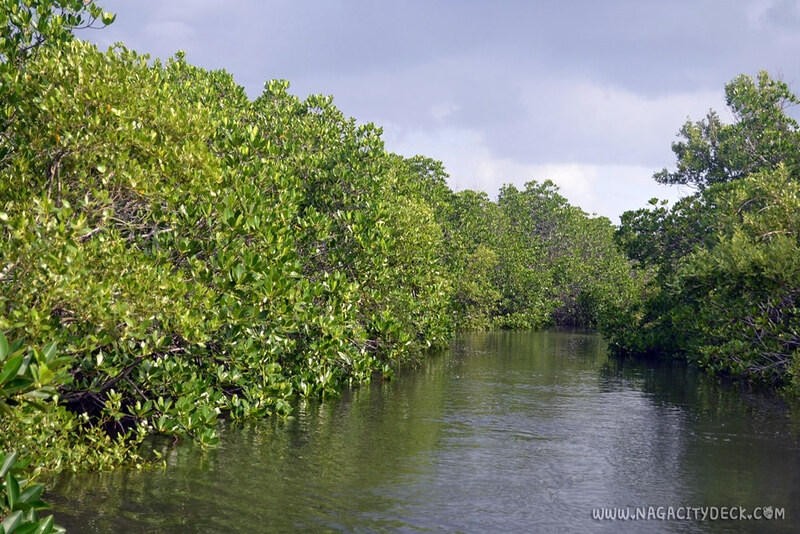 A model not primarily of people but of natural resources, a coastal environment to be specific. 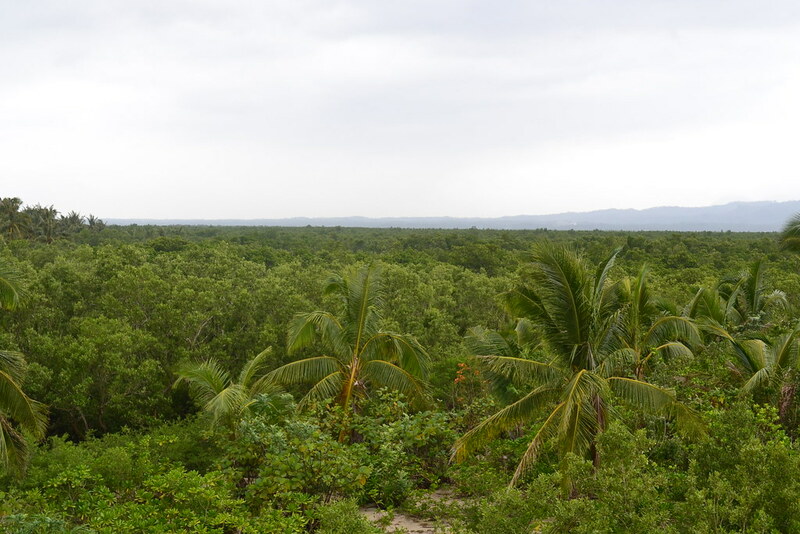 Behind this model site are the hardworking vanguards/stewards of their very own natural treasure in Prieto Diaz. 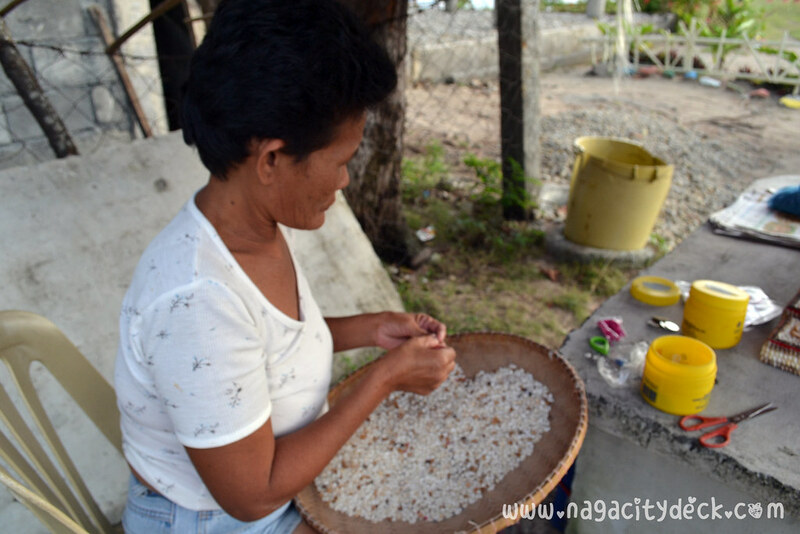 Seamancor Eco-Developers Inc. is a people's organization established back in 1994 in Prieto Diaz. 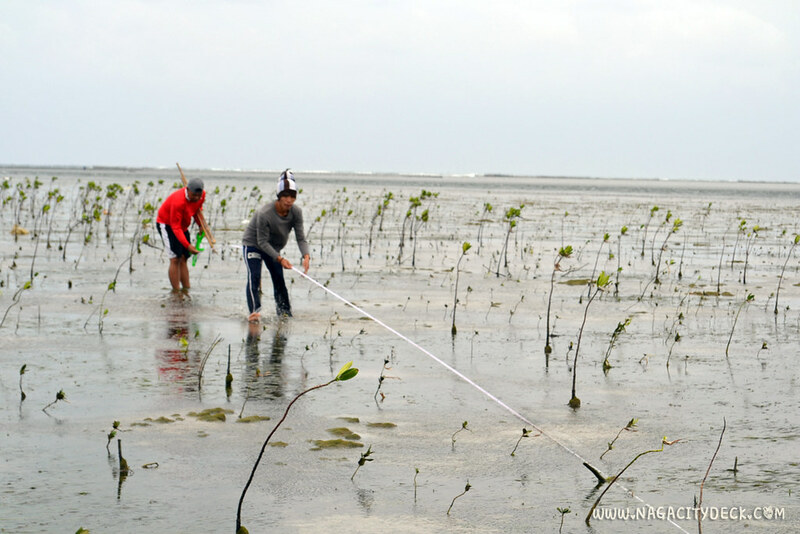 It is under the Coastal Environment Program of the Department of Environment and Natural Resources. 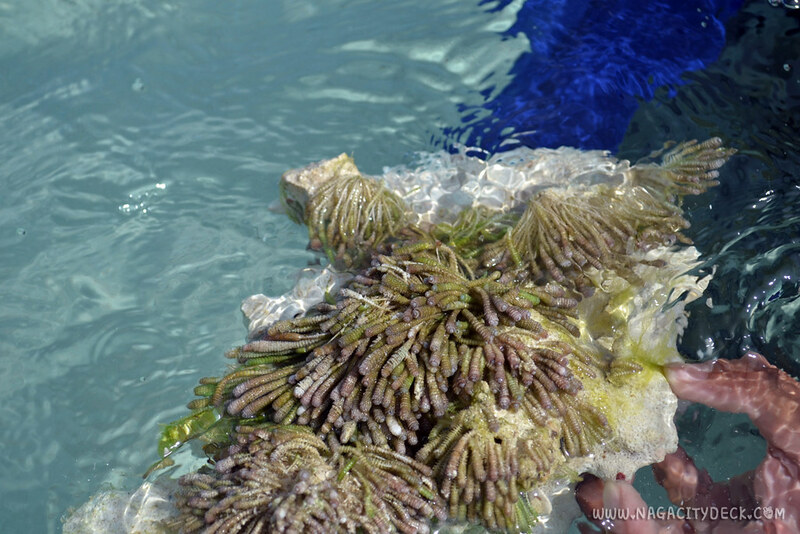 Seamancor stands for Seagrass, Mangrove, and Corals, mainly because these are the three main models that Prieto Diaz is rich of. 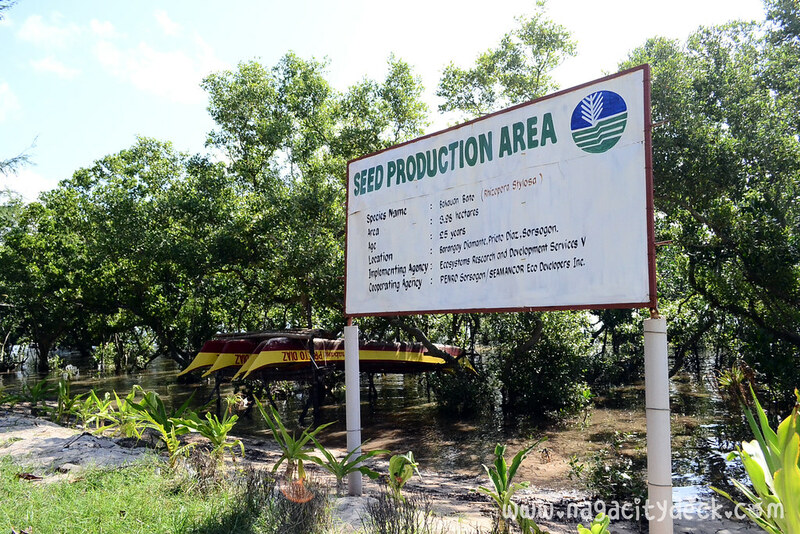 Seanmancor was awarded 25 years of stewardship of the 500 hectare mangrove forest by the DENR. 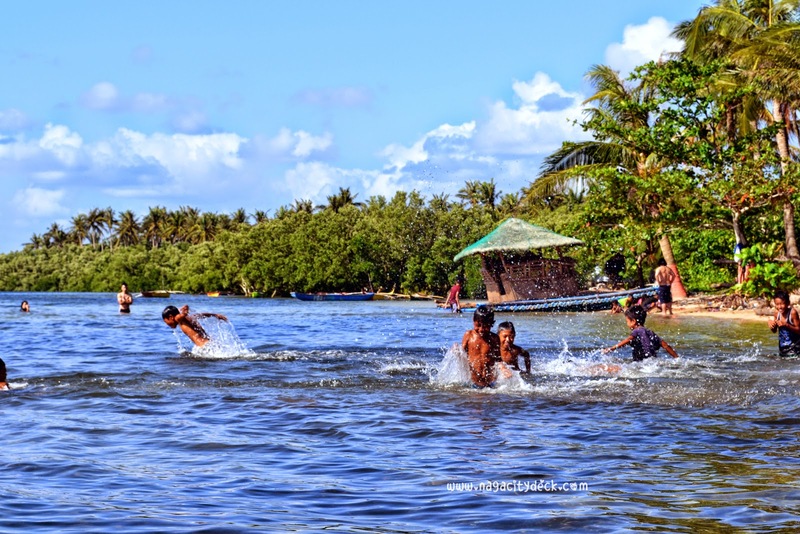 The community of Prieto Diaz and members of Semancor were able to develop a sustainable coastal resource management system with the help of DENR and other non-govenrment organizations. 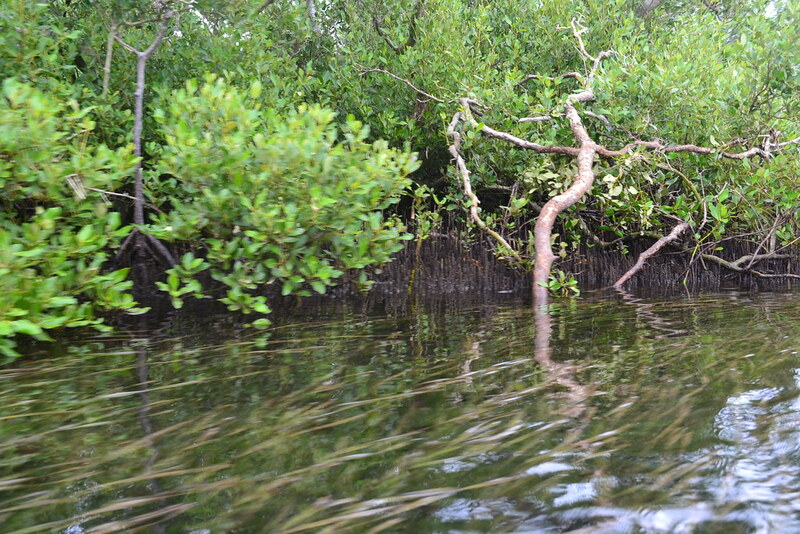 Not only do they protect the mangroves, but they also provide livelihood programs for the members. 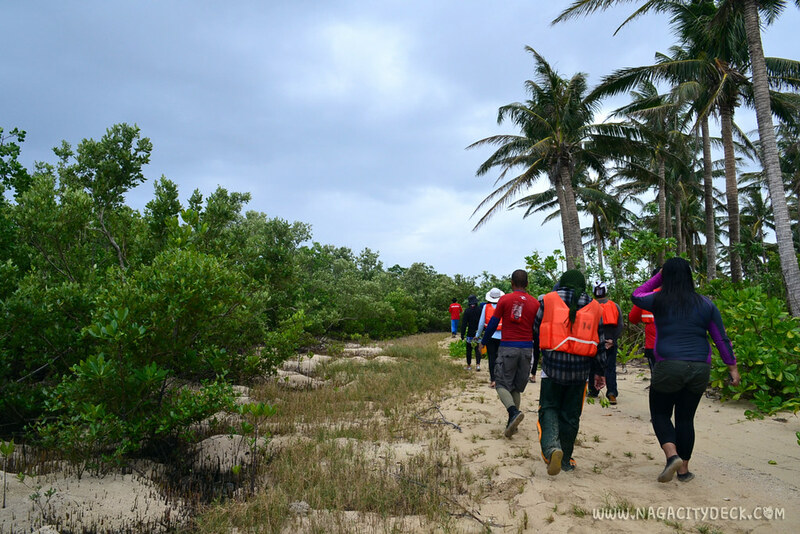 The organization is a success story of DENR maintained for more than two decades now. 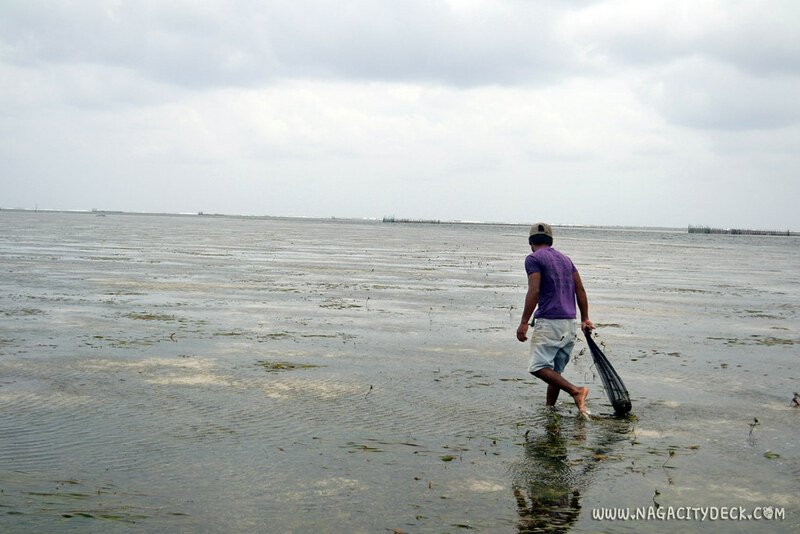 836 hectares of seagrass, around 500 hectares of mangroves and 800 hectares of protected coral reefs and marine sanctuary. 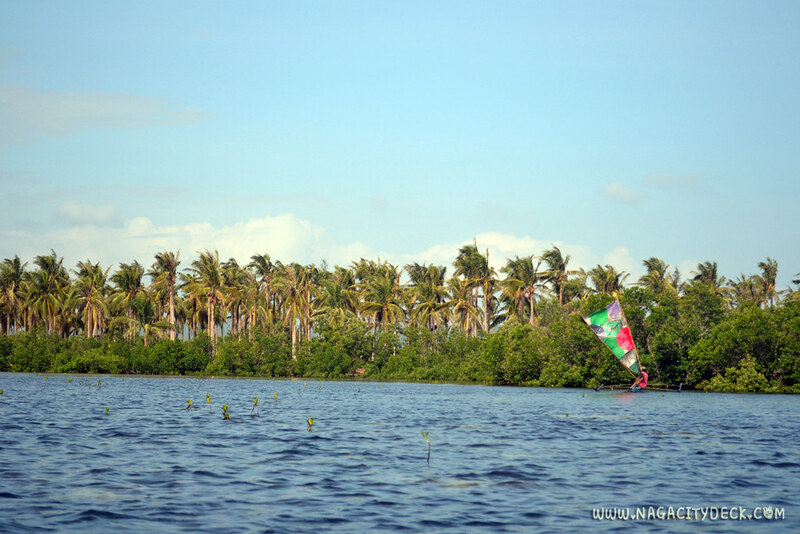 Get a glimpse of this beautiful coastal environment of Prieto Diaz. For three days and two nights I was able to get up close and personal with the portion of Seamancor's treasure. 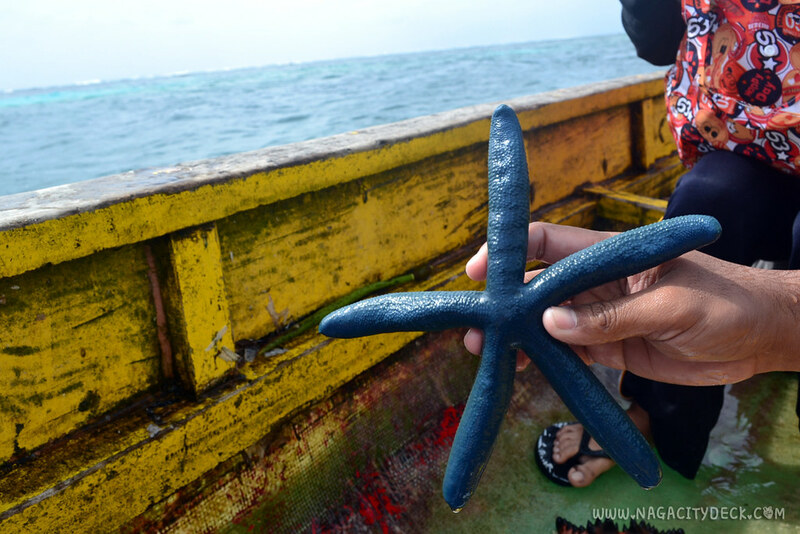 Apart from the natural wonders, immersing with the community is a very humble experience that you can't ever get in the metro. 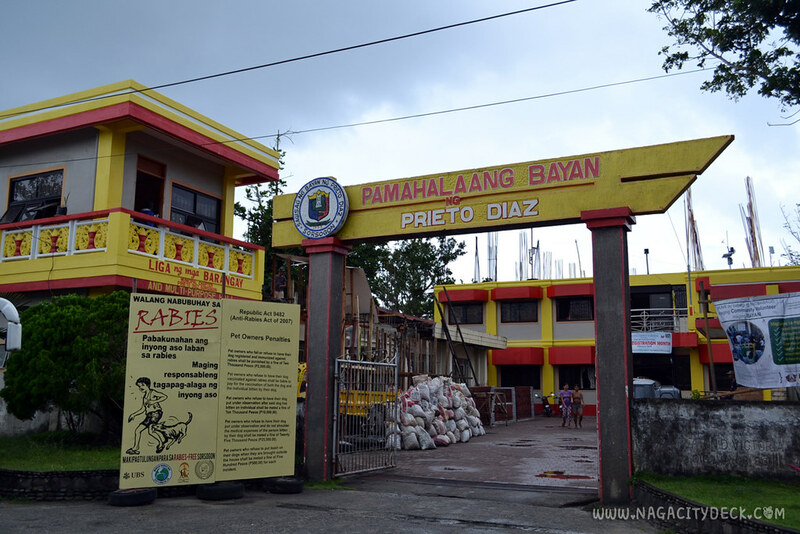 For so many years, my mom has been bringing quite a number of classes to Prieto Diaz since late 90s. I was still in my elementary to early high school years those days and I just couldn't join the trip because I was religiously attending my classes. After more than two decades, finally I was able to tag along. 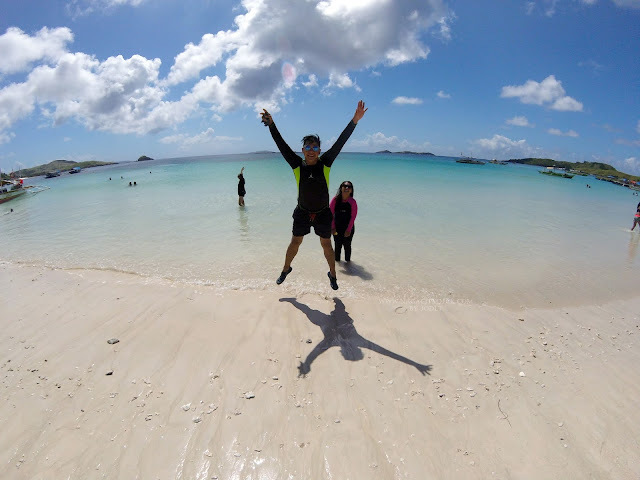 While Donsol and Matnog are well known tourist destinations in Sorsogon, I did not regret that I got to experience Prieto Diaz first. 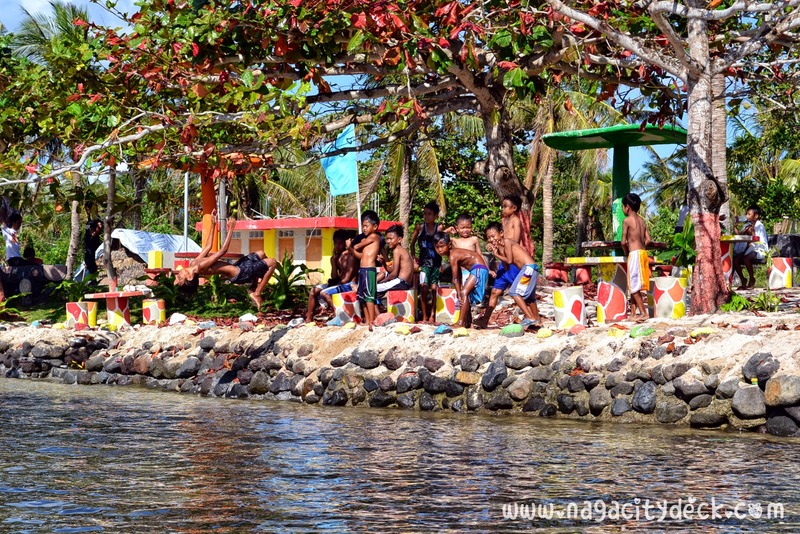 Prieto Diaz's common visitors are students and professors who study marine life and coastal environment Seanmancor started way back in the late 90s with a few amenities. 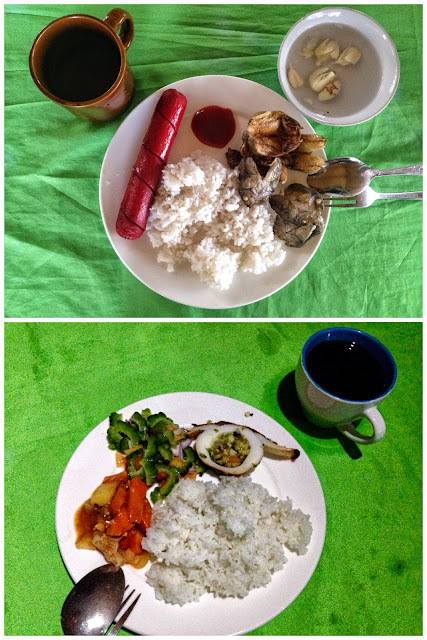 My mom recalls they still had to bring in utensils and kitchen wares in order to make things easier during their stay. 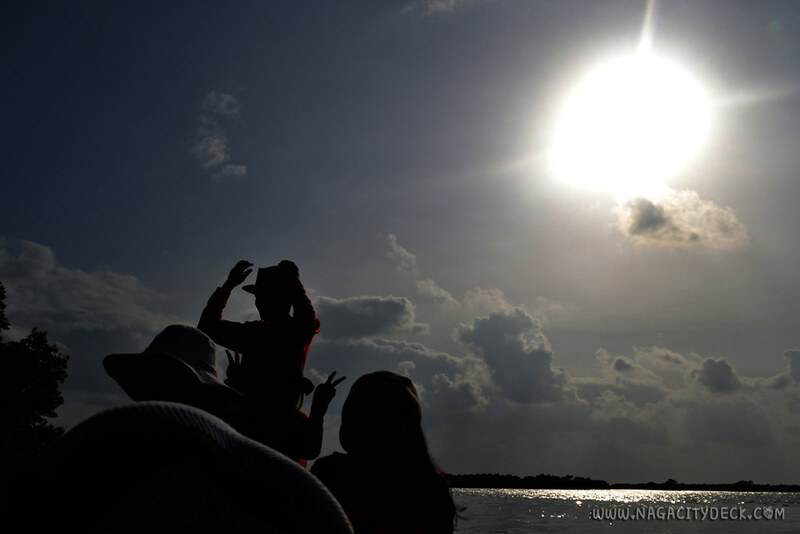 Over the years, because of the determination of the members they were able to establish a good eco-tourism program for the guests. 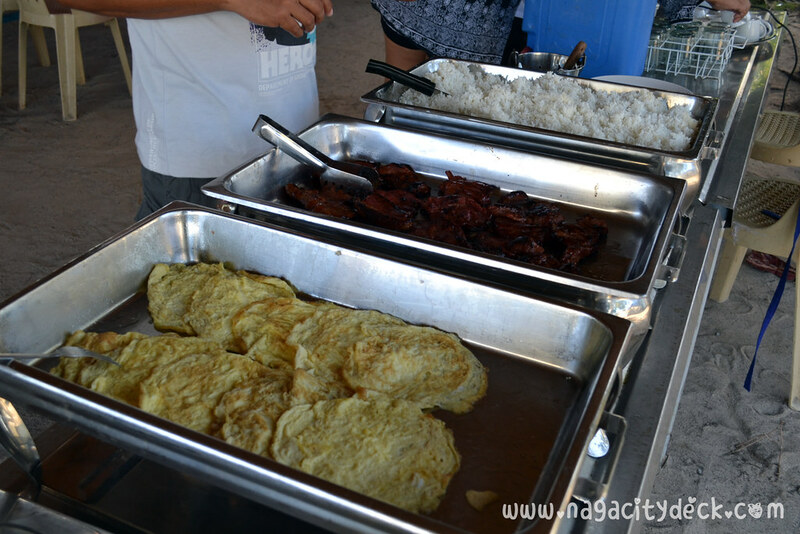 Seamancor offers catering services with packaged meals for breakfast, lunch and dinner. 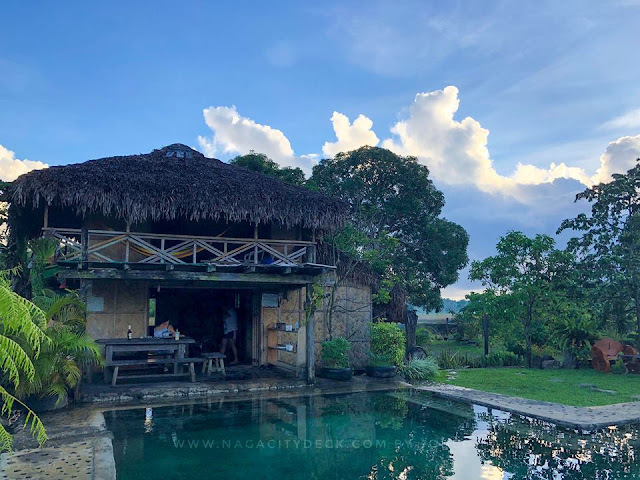 Food, accommodation and tour can be as low as P650 up depending on the type of menu, number of days you'll be staying and how many you are in the group. You can request for Prieto Diaz's best which are mainly seafood. 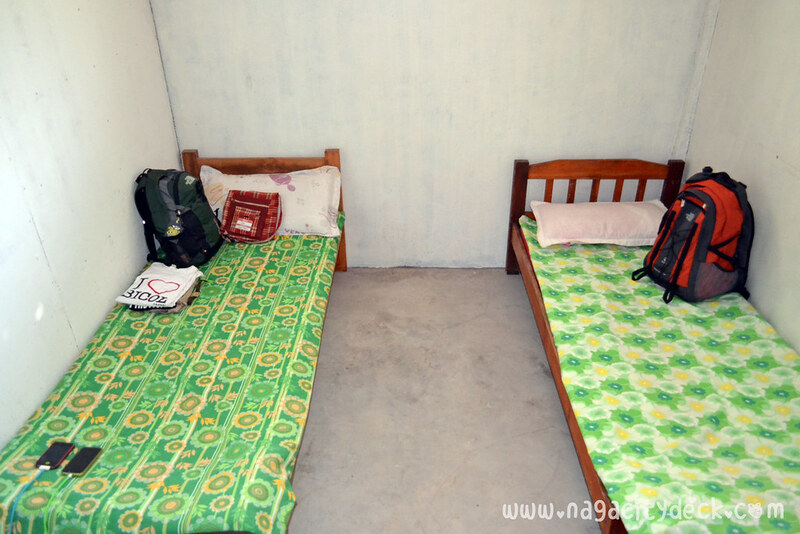 Accommodation: Basic rooms with clean comfort rooms and shower rooms. 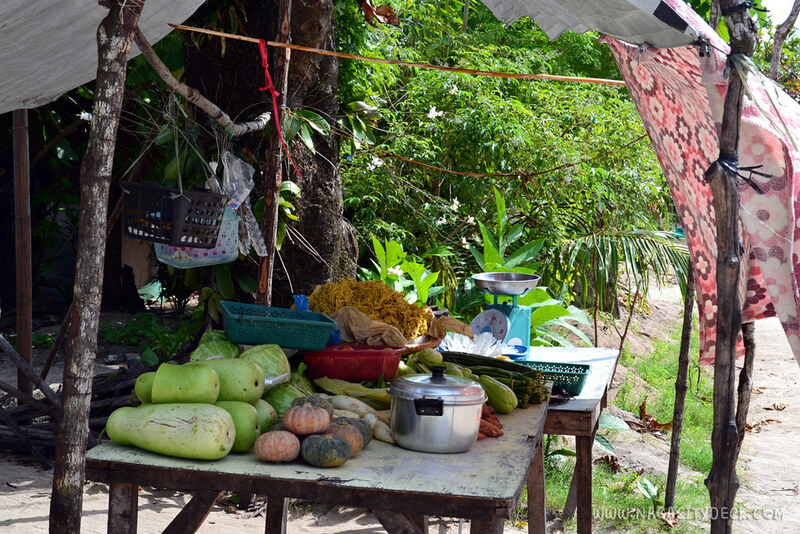 Guests can also have the option of pitching in a tent within the compound or hang a hammock in between the trees. They also have a videoke machine for the guests. Sorsogon road trip complete set of photos are available in my Flickr, CLICK HERE. 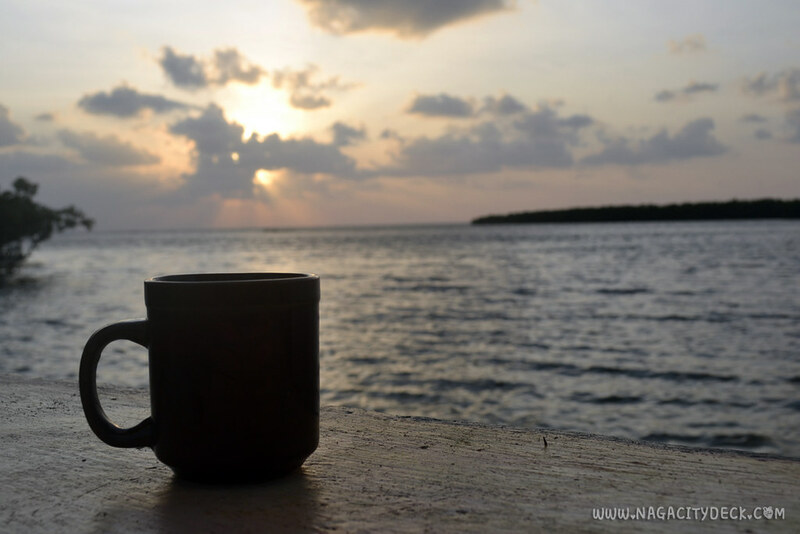 This is the sunrise view by the beach which is near the park. 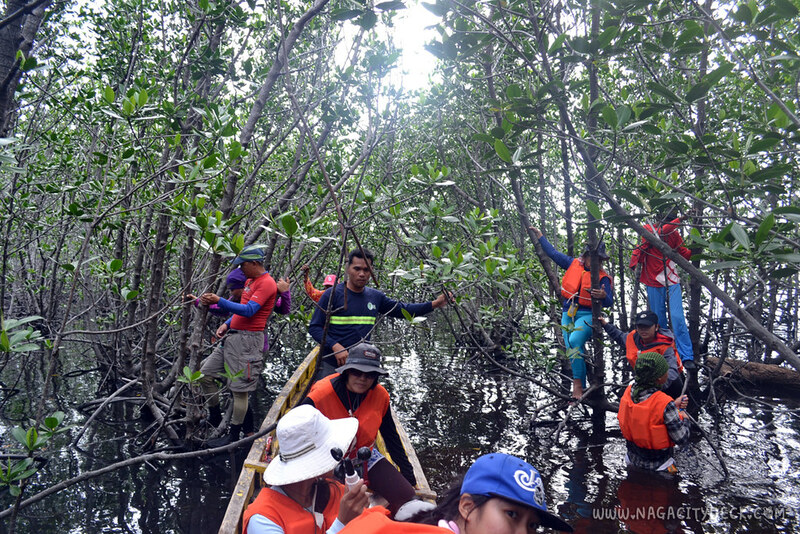 While other members of Seamancor are in charge of the catering service, others serve as tour guides to guests inside the mangrove forest, during sea grass exploration and snorkeling in "Halabang La-pis". 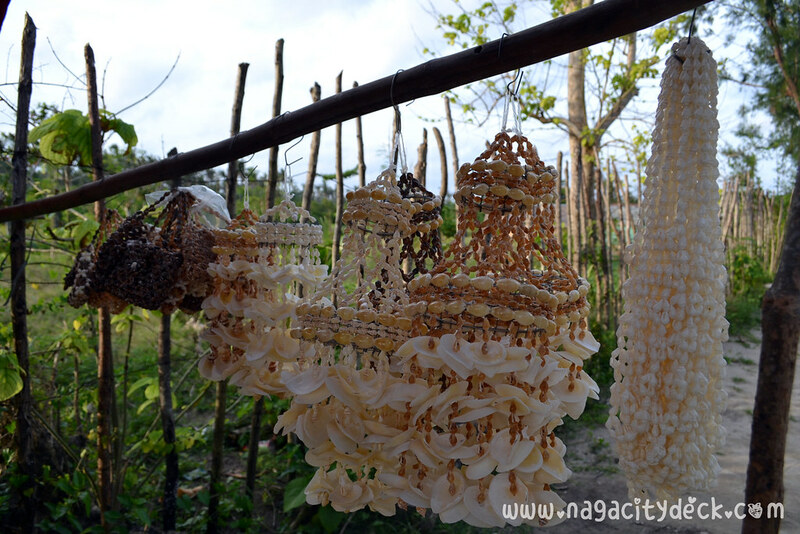 Other members are into danggit production and accessories/ornaments making. 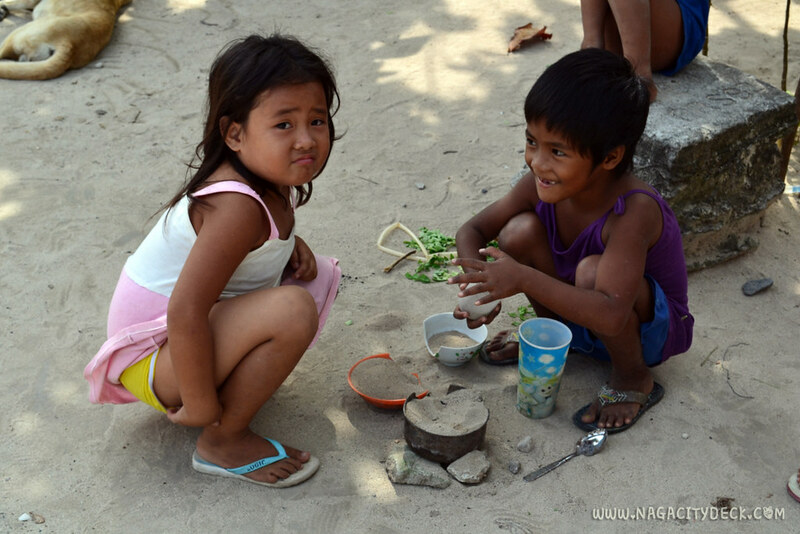 Since we arrived in Prieto Diaz nearly lunch time, the first activity of the day was conducted in the afternoon. Seagrass bed exploration. The students had instruments to measure the salinity, ph and other technical terms I am not aware of. Lol. All I did was to take photos of the students doing their task and documented the different types of seagrass they have discovered. 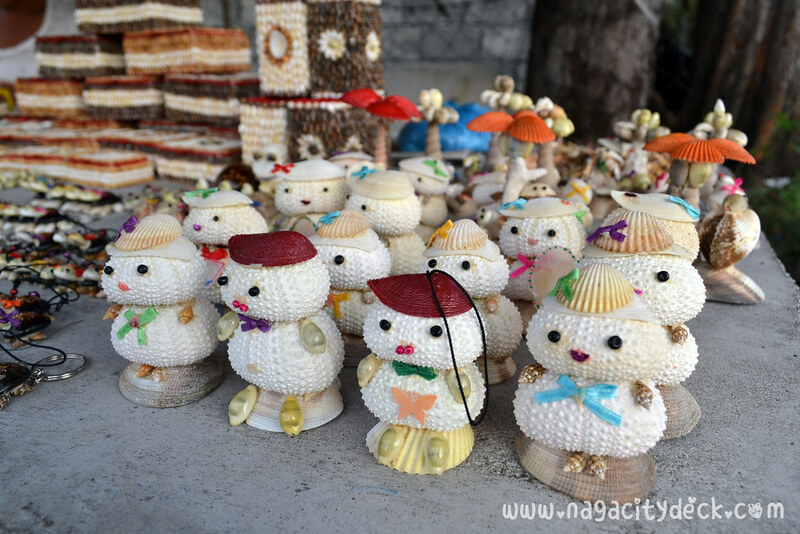 It's fun checking out live seashells rather than seeing the shells as ornaments and accessories. Students identifying the types of seagrass per quadrant. Also, egrets are everywhere but they usually stay away from people. While the students were busy conducting their activity, I saw Manong catching crabs and reaching for them under the sand. He was really good at it. He circles around the seagrass bed and in just one look he knows if there's a crab hiding underneath. 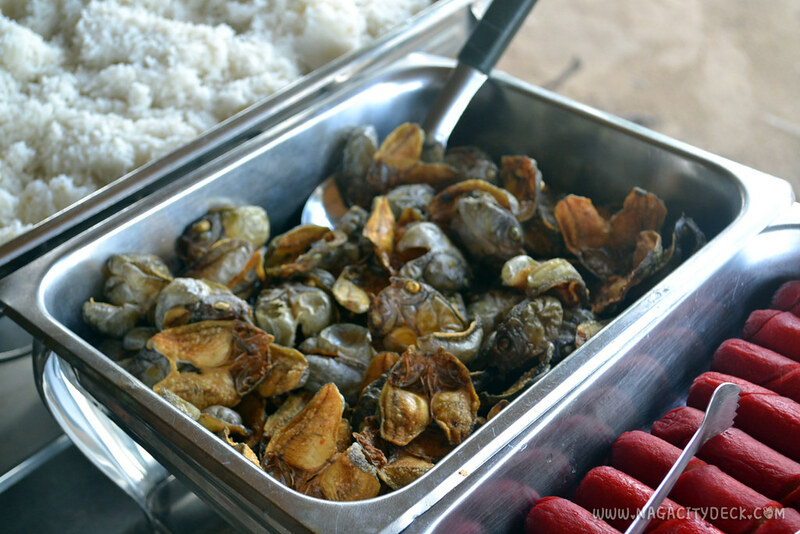 After that, we made a deal with Manong and bought his bag of crablets. 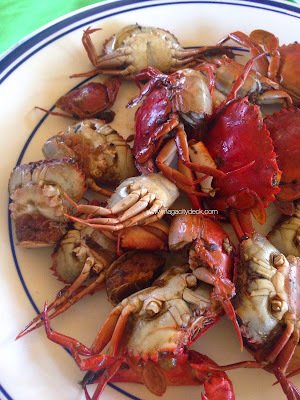 We had the crabs cooked in the kitchen of Seamancor. 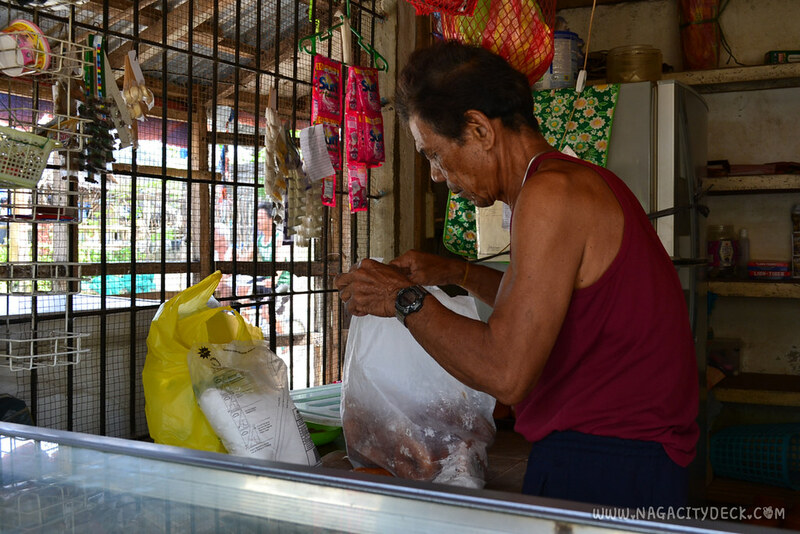 Just in case you see fisherfolks with a fresh catch all you have to do is negotiate with them. 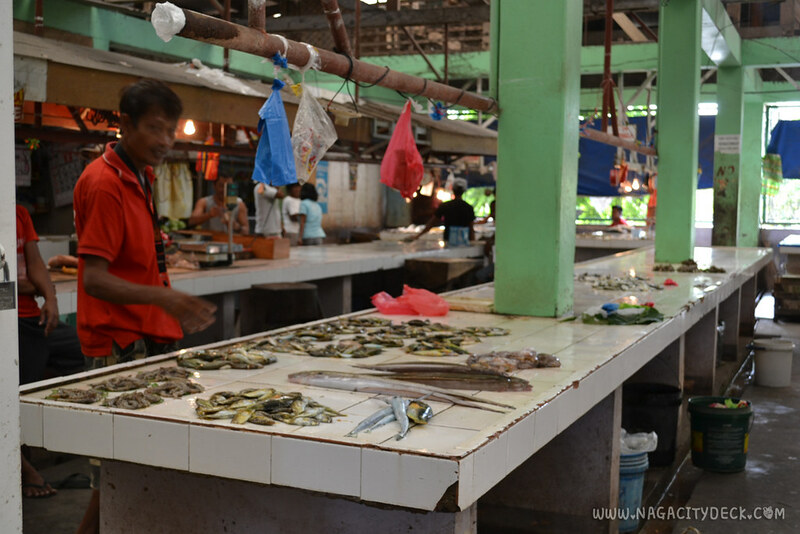 You'll be surprised how low they price the seafoods. 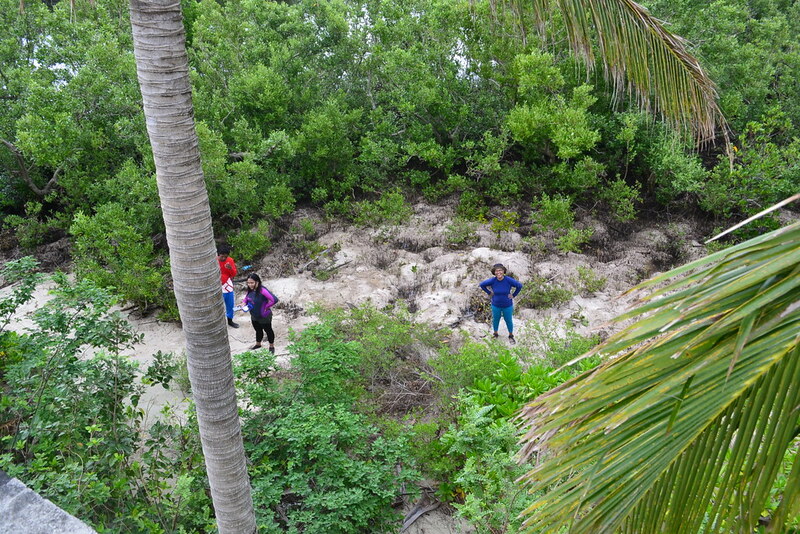 Our second day was dedicated to mangroves and corals. 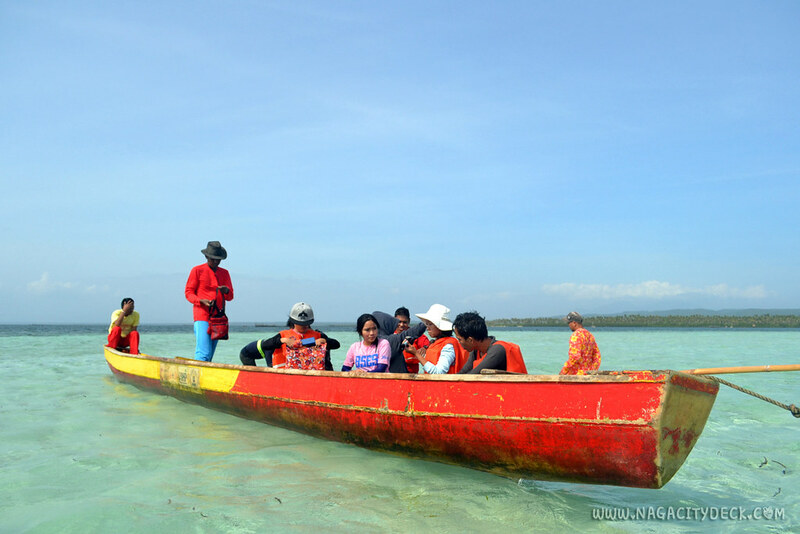 Motorized boats are prohibited in the area to protect the seagrass and to prevent pollution. Row boats are being used instead. Each boat has a bankero and a tour guide. Tour guides and the bangkero are in matching uniforms, a floral camisa chino and red pants. The students doing their routine. 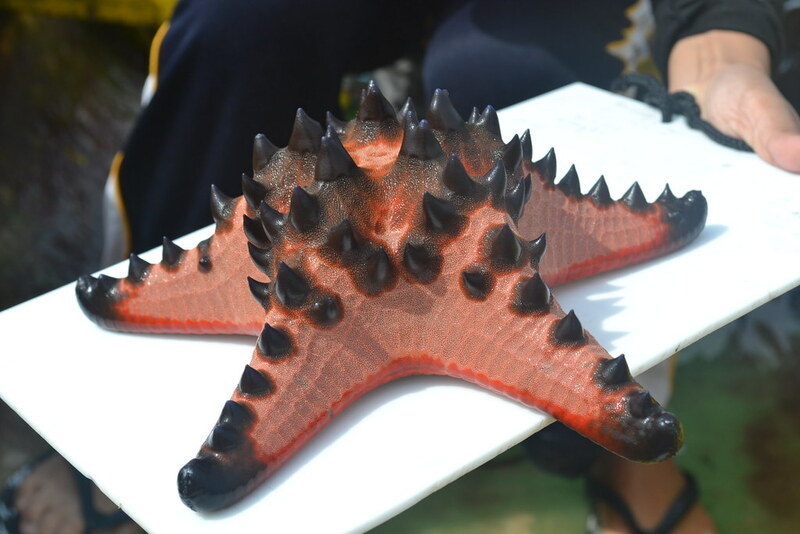 All of these sea creatures were returned to sea after documenting them. 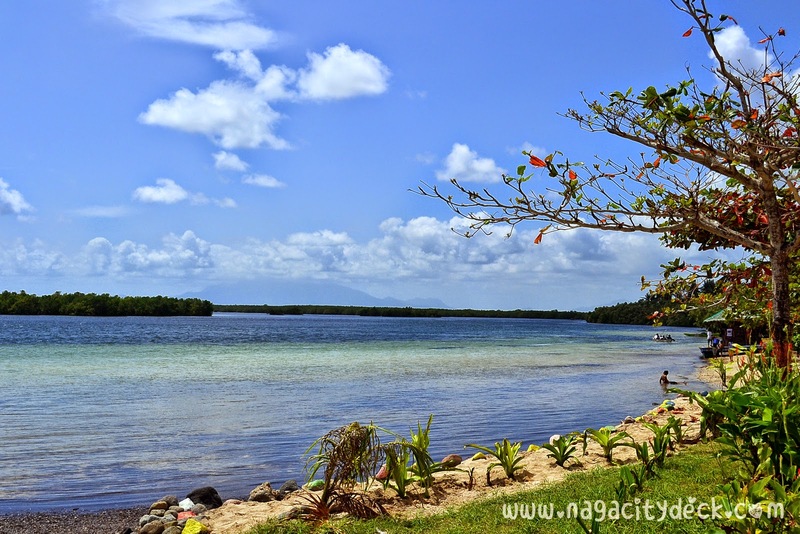 Rich marine sanctuary in Prieto Diaz. 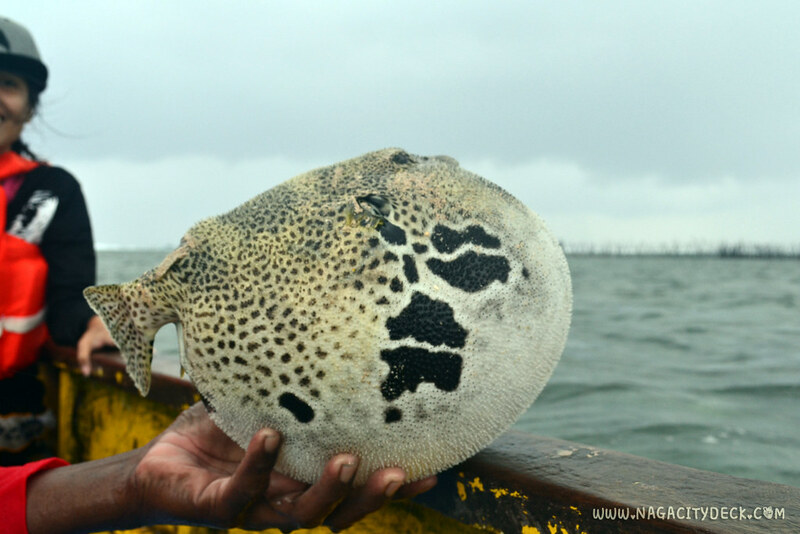 This puffer fish was really memorable, it's just so amazing seeing one in real life. I can never forget the sound it was making while we were holding it. The white board is actually a slate where students write down the data. No papers and ballpoint pens but only pencils. 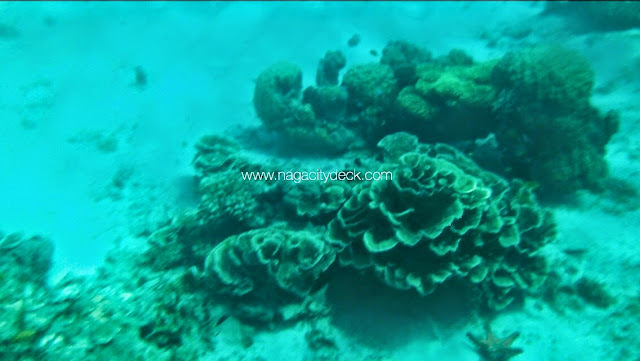 Snorkeling in Halabang Lapis. Lapis is not pronounced as the pencil or lapis in Filipino, but instead "La-pis" with a stress on the La. Cho Maning, one of the members of Seamancor guided us the whole day. 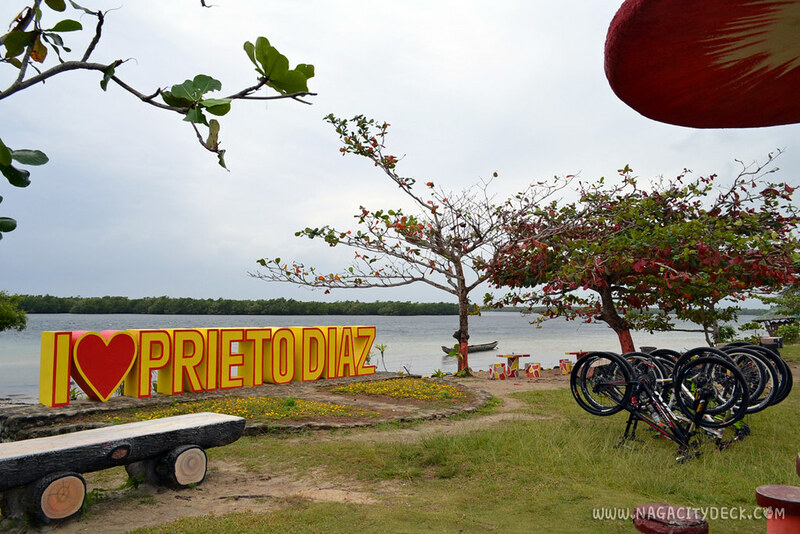 But beyond tour guiding, he knows every specie of seagrass and mangrove plus every marine life and sea creatures there are in Prieto Diaz. And oh don't worry, they have life vests as part of the package. It was quite a windy day, water current was a bit strong too. Water level was around 10 to 15 feet. 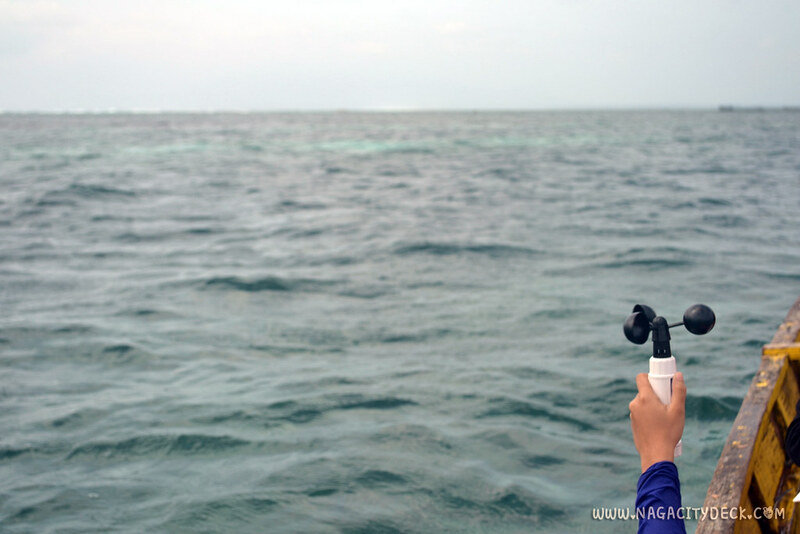 It was my first time to snorkel. Yes, I have this amount of fear for sharks swimming in deep water. Too much Jaws perhaps. I have no waterproof camera nor any action cam. Since it was my first time, I had to document it. With all the courage, I used the dry pouch, slipped my iPhone in, sealed it properly, dipped it in the water and finally recorded at least less than a minute underwater. I did not attempt diving in any further because I know the limitation of my phone. There are many aquarium fishes. My phone just can't capture it well. Watch how I took the video starting from 0:27. Adjust to HD for a better resolution. 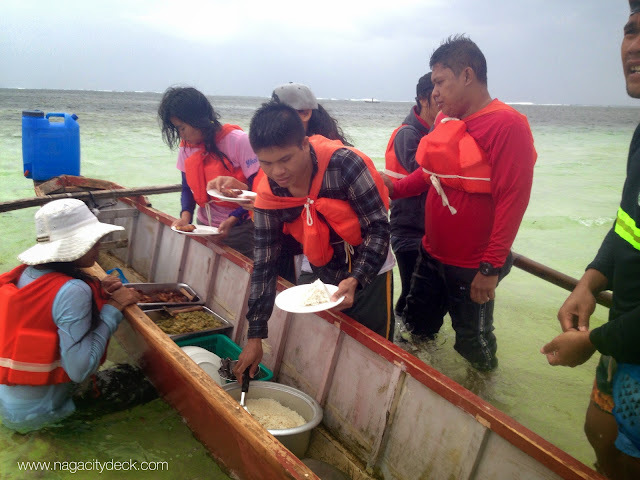 Around noon time, another boat approached us, they brought our lunch right in the middle of the sea! After having our lunch, the water level was decreasing, we had to go back fast or else we will rely on leg power and walk to the shore. 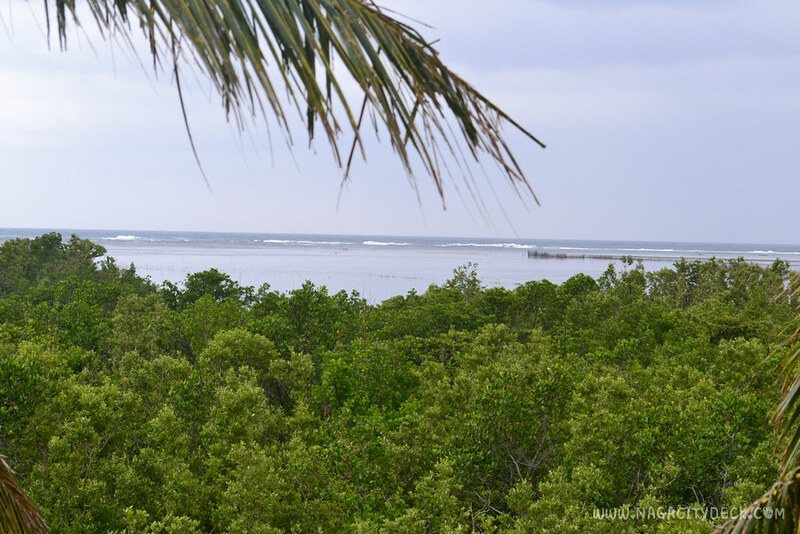 After lunch we went to a watch tower to have a 360 degree view of the mangrove in Prieto Diaz. 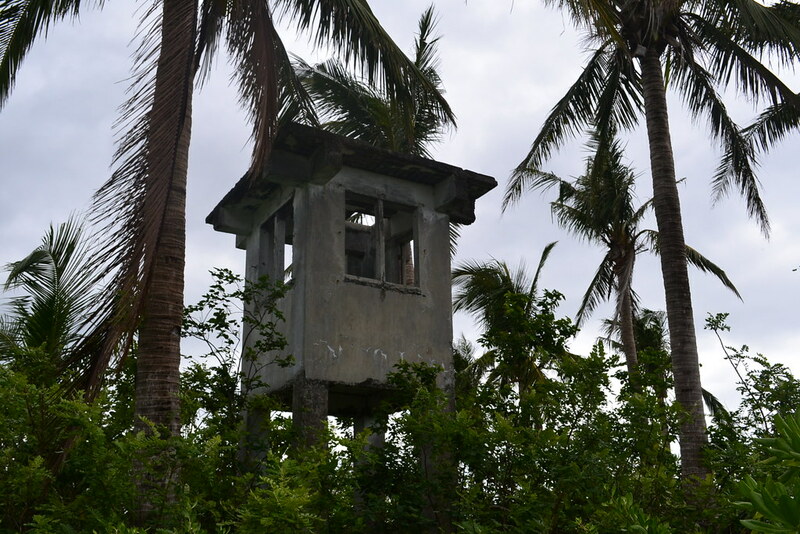 This tower is definitely not in good condition. I hope Seamancor and the local government can do something about this. The coconot trees are actually obstructing the view, but it's okay. 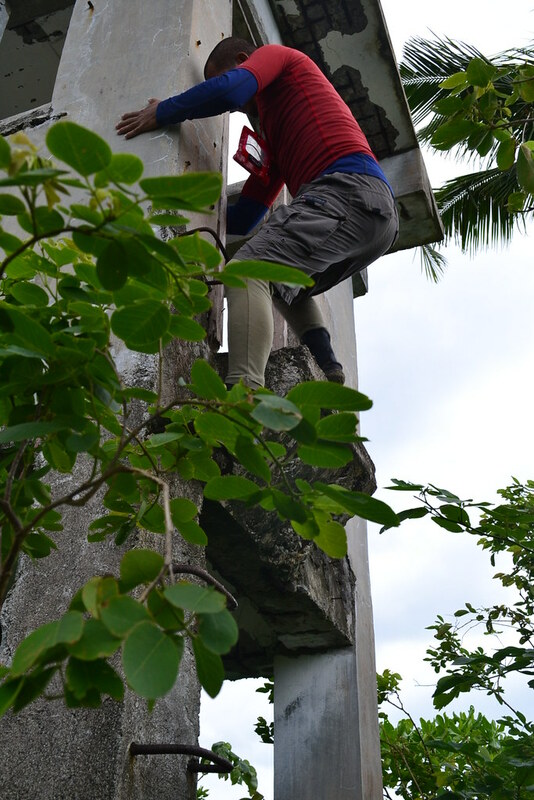 Only three of us went up, Manong Bangkero and Kuya Kiko (in red, who works in PDRRMC of CamSur) two of them assisted me so that I can go up the slob to have a better view of the mangroves. 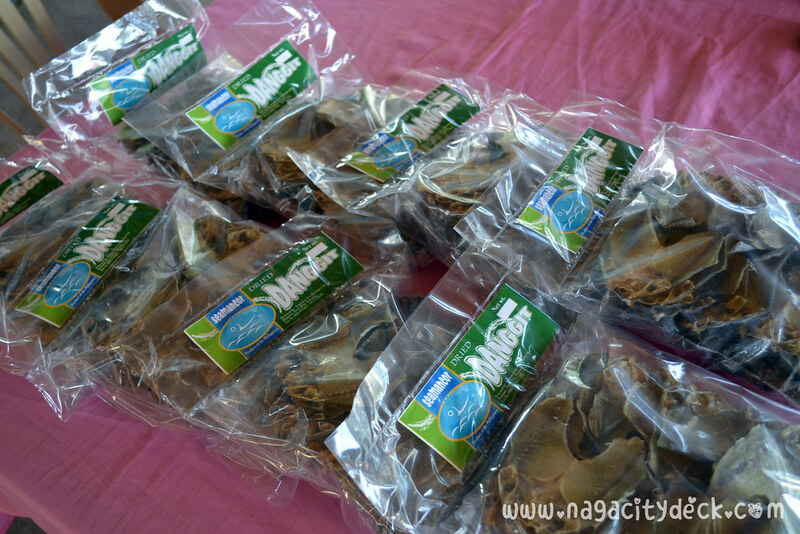 Kung hanggang saan abot ang paningin mo, lahat mangrove ang makikita mo. 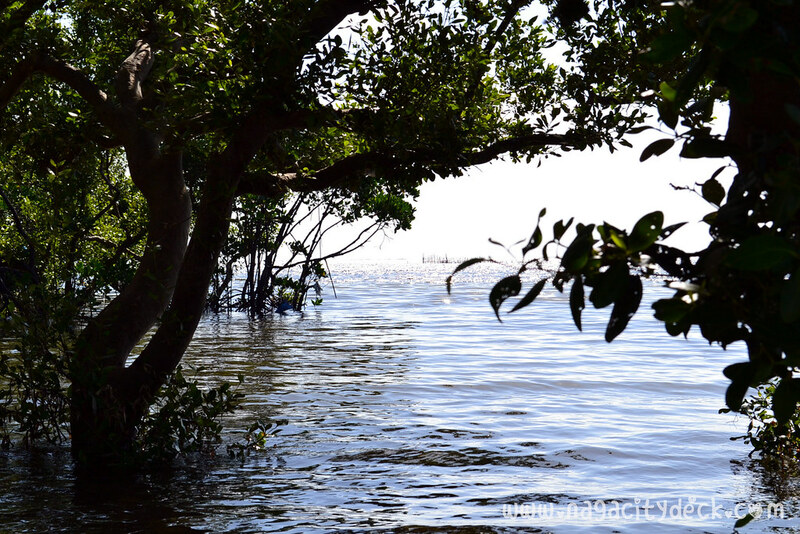 That's how vast the mangrove in Prieto Diaz is. 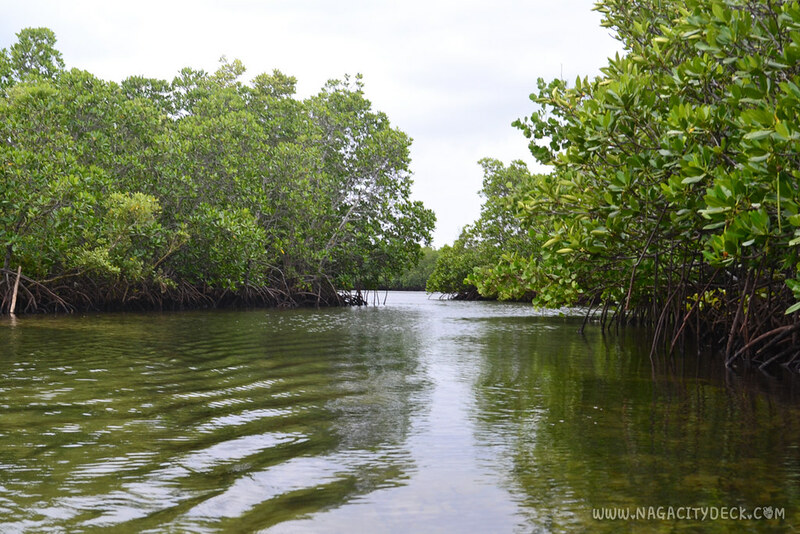 Upon seeing this view, I can say that Prieto Diaz really deserves to be a model site of natural and reforested mangroves. Our second day ended well. 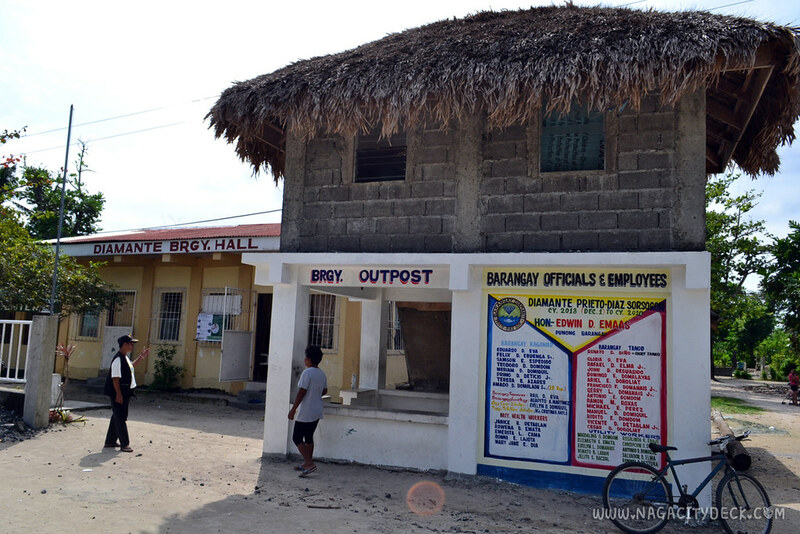 A stroll around the town of Prieto Diaz and Brgy. Diamante is just pleasing to the eye. Simple living at its finest. 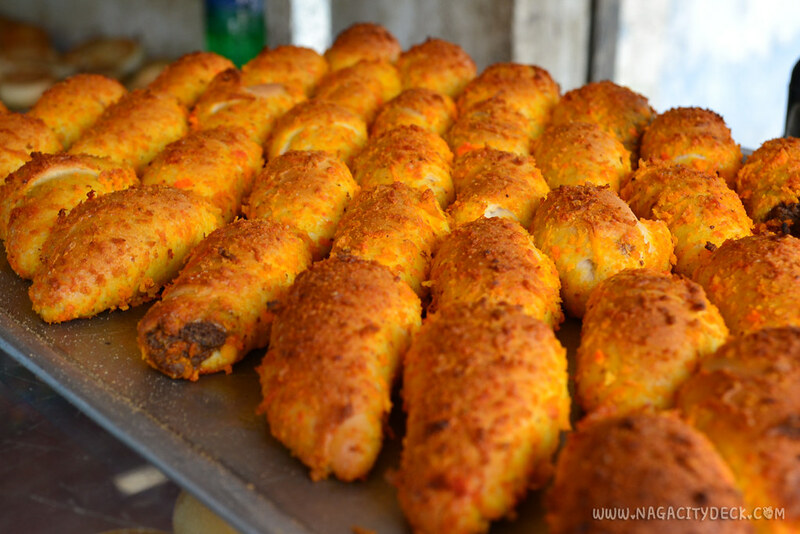 A local bakery with freshly baked breads every afternoon. 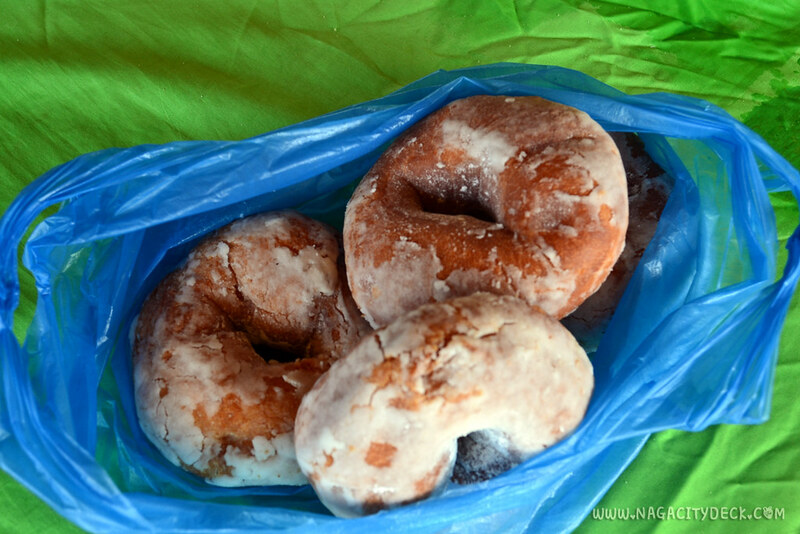 These yummy donuts costs P5.00 each only. Playing, the old fashioned way. 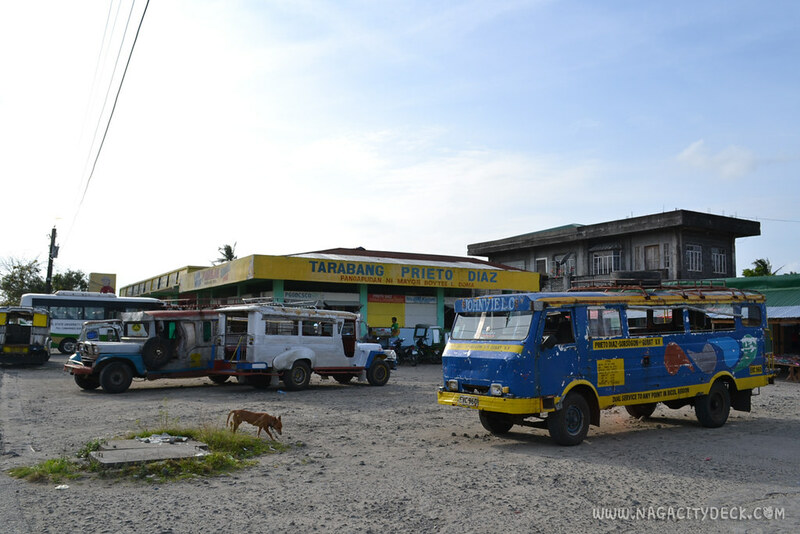 We also went to the town proper of Prieto Diaz. 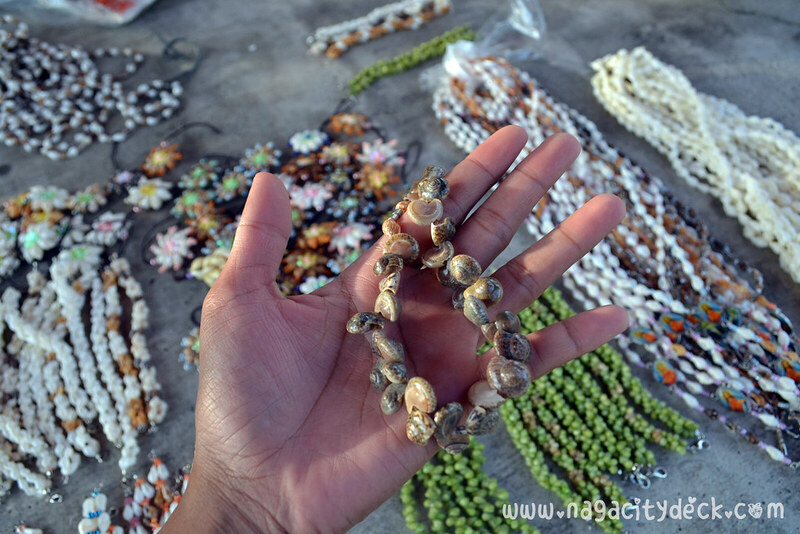 Accessories making made of sea shells. 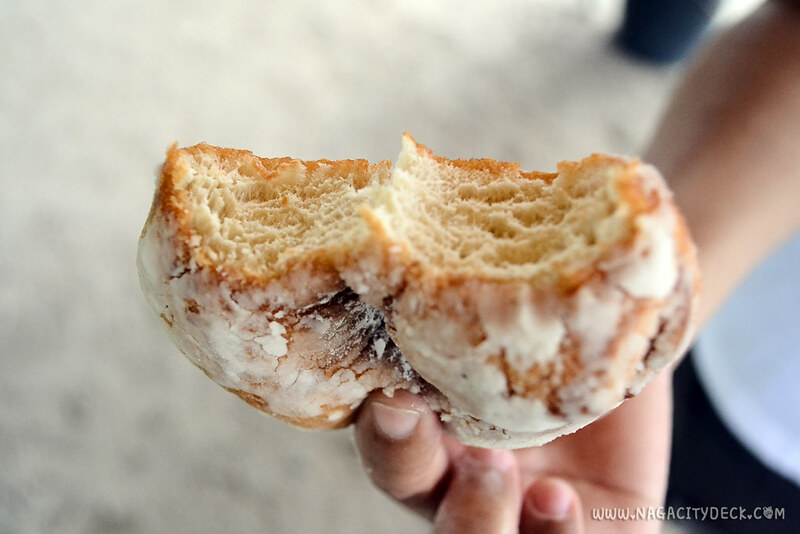 For as low as P10.00 you can buy your pasalubong for many of your friends. 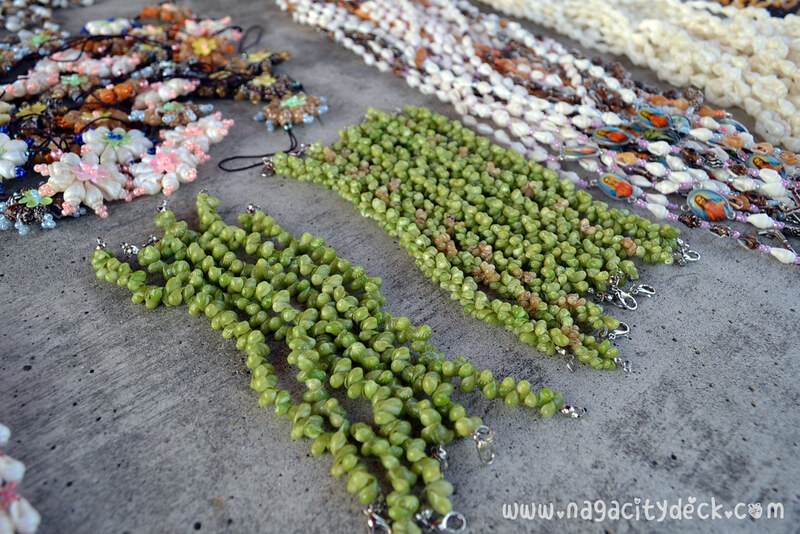 Mostly of the braclets and necklaces costs only P10.00. Others are twenty, the jewelry boxes ranges from P30.00 to P50.00. Chimes for as low as P50.00 to P100.00 depending on the size. The green shell is my favorite. A single braid costs P10 and the thick one costs twice as much. Still way too cheap. 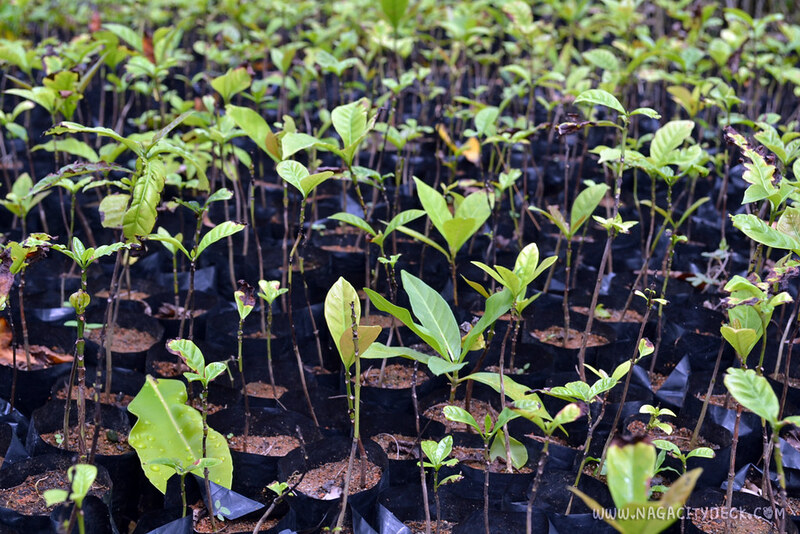 Many of the seedlings will be brought to Tacloban. Given that Seamancor Eco Developers Inc. is the caretaker of Prieto Diaz, they still need some reminders from time to time. Mom and her organization conducted a presentation about how Seamancor should continue to better vanguards each day. 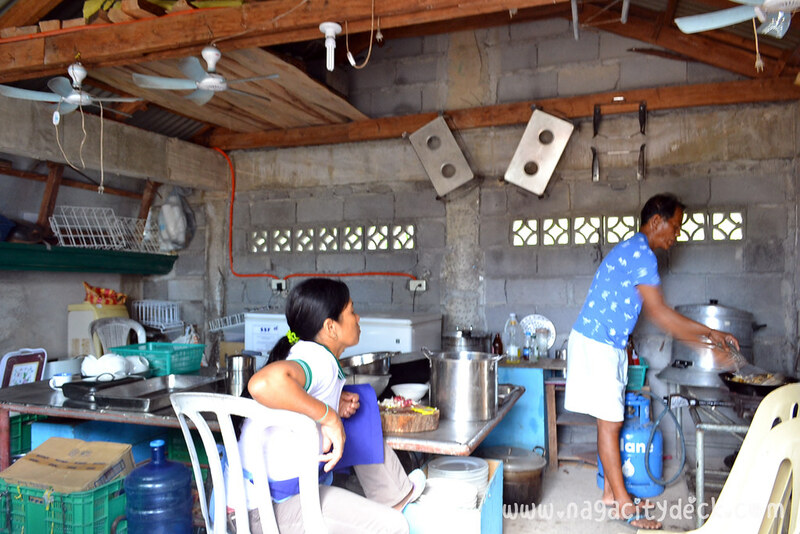 Proper waste disposal and how they can earn from trash were also shared to the members. 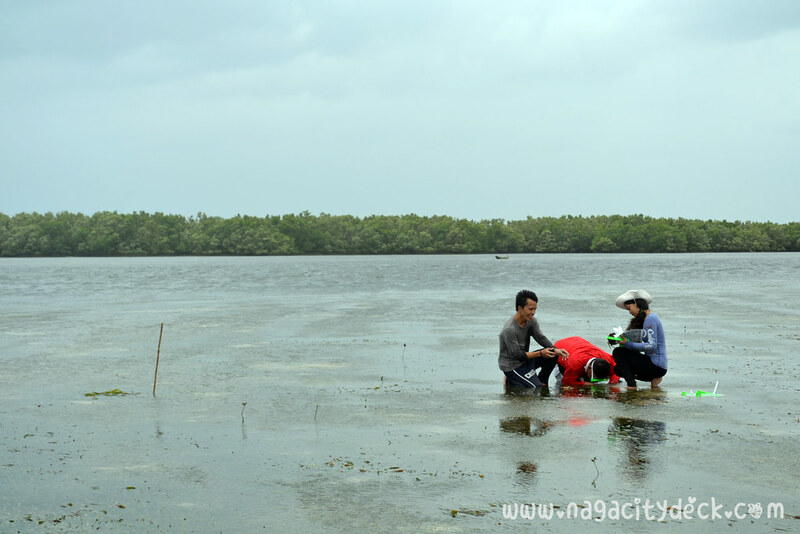 We saw a number of plastic wrappers near the mangroves and shore, this indicates it is still a problem that they need to work on. Sunday is indeed a swim day. So there you have it guys, experiencing Prieto Diaz has a different light, it's more than sightseeing. 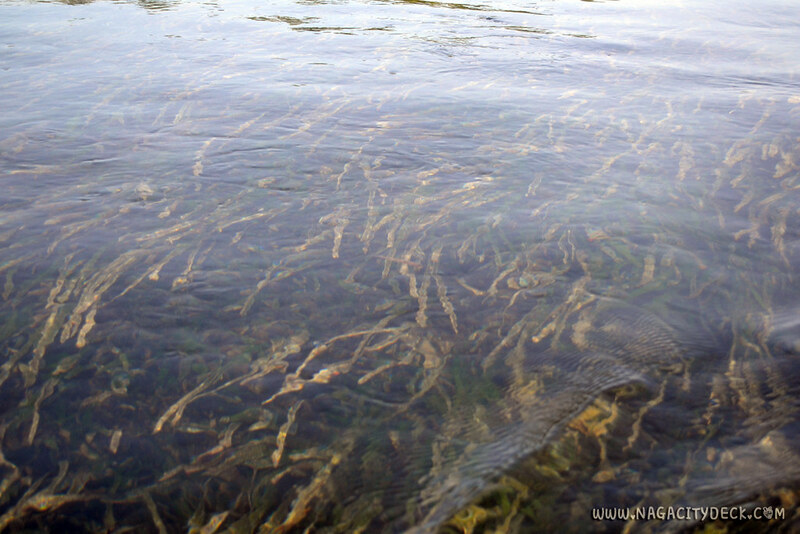 It's experiencing and understanding how important nature is for human existence. 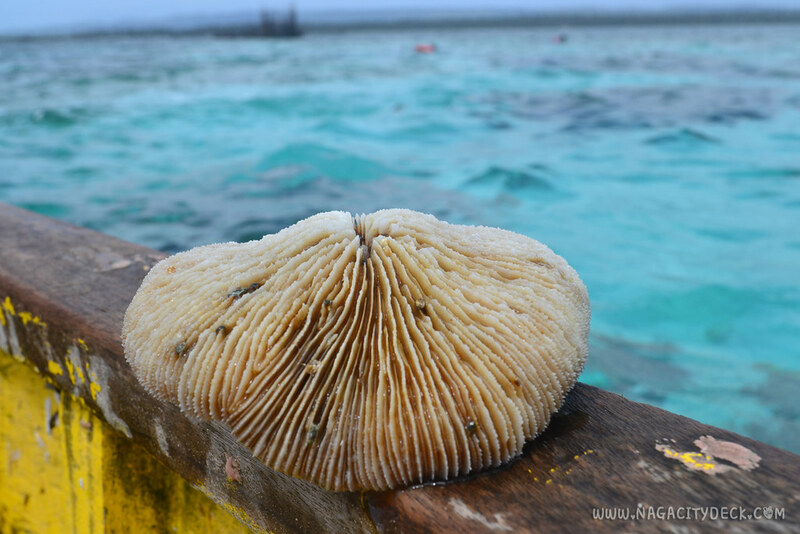 It will make you appreciate more the littlest things there is in marine life. 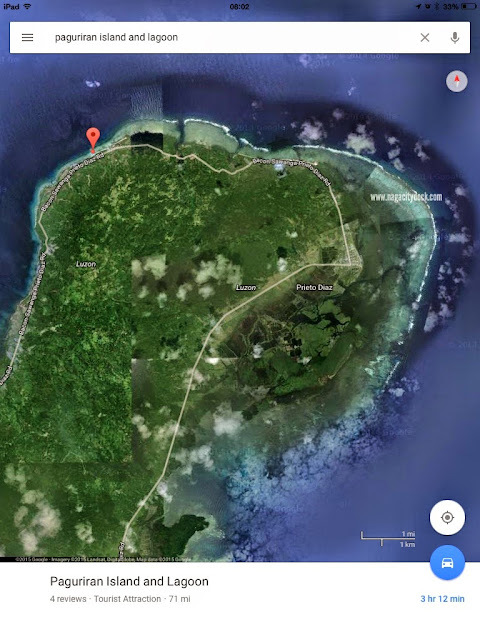 So if you stay in Seamancor in Sabang Beah, Brgy. Diamante of Prieto Diaz you are helping the community in many ways. 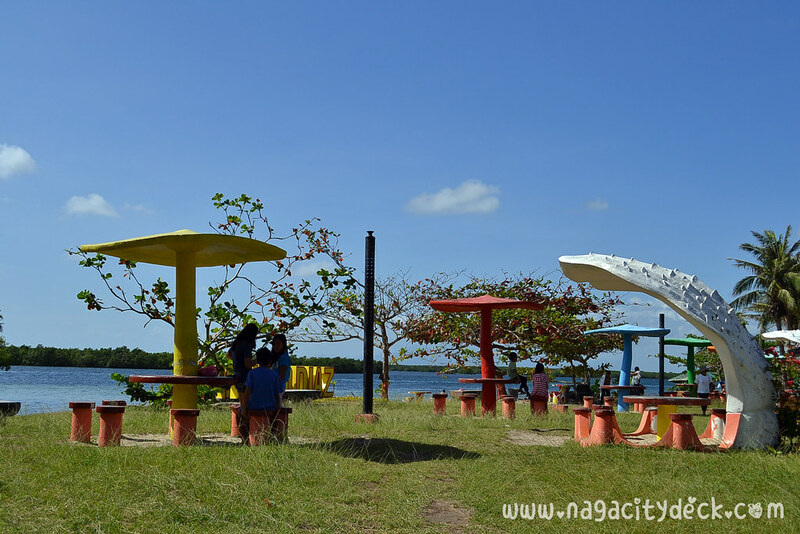 For the second part of my Sorsogon road trip series, we visited Paguriran Island and Lagoon. 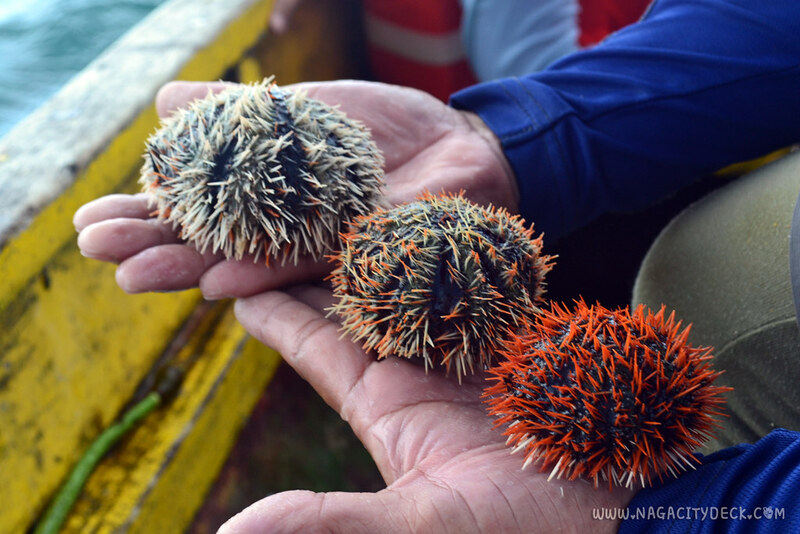 Sir, can we buy and eat sea urchins there? do they have oysters too?